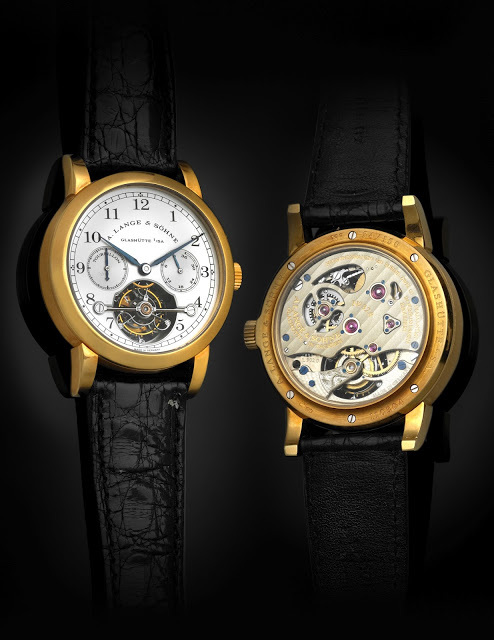 Antiquorum in New York just sold a Lange Tourbillon Pour le Mérite in yellow gold for US$188,500 inclusive of buyer’s premium. That is a extremely strong result for the PLM, especially in yellow gold, which is the most common of the series. And this coming several months after record prices for a unique platinum PLM with salmon dial and the unique 36 mm PLM in platinum. Lange prices were pretty soft on the secondary market after the aftermath of the recession in 2009 to 2010, but began to firm up last year. I reckon they will continue to climb gradually, especially for the important models like certain limited editions, Datograph and Lange 1.